Young British talent Simon Holt continues to impress in Italy with two top-25 performances in international races recently. Holt was 17th in the Trofeo Piva Banca Poplare di Vicenza and 22nd in the GP Palio del Recioto in Verona after leading out a team-mate for 16th place. “They’re both solid results but I am a little disappointed not to break the top ten, especially in Piva, where I was in the group sprinting for the win. It was a case of a little bit of bad positioning and getting squashed on the left going into finish,” Holt explained. “My fitness is coming back now after having December and January off with the Shingles Virus and I am looking forward to hitting my objectives in the months of May and June that will include the Baby Giro. Holt was originally scheduled to ride the GP Liberazione – a major season objective – but will ride in Britain instead due to a bizarre ruling from the Italian race organisers as the GB Olympic Academy is already riding the event. Four British Sky riders will return home to ride the prestigious Lincoln Grand Prix in May 9. Russell Downing, already a three-time winner of the race, will be one of four Sky riders to take a short break in their continental racing commitments to race on home soil. Downing, who became the first Briton to win in Sky colours, thanks to a stage win at Critérium International, will be joined by Ben Swift, Peter Kennaugh and Geraint Thomas. The Sky riders will face full-strength squads from Endura, Rapha Condor, Motorpoint Marshalls Pasta and Raleigh. After months of negotiation, the Royal Parks have agreed to allow London Dynamo to host three time trials in Richmond Park during the summer. The events will be broadly similarly to the pilots held last year but with a few small changes. There will now be no fixed gear category, there will be prizes available for female roadies (as last year the prizes went just to TT riders), but most interestingly, the road bike category has been tightened up to exclude aero-bars, -wheels and -helmets. The dates have been confirmed as June 13, July 18 and August 8. 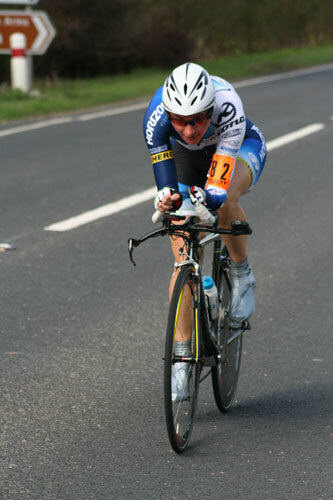 To add a little further spice, Scott is offering two complete TT bikes as spot prizes for anyone racing in the series. The draw will take place at the last event in August. Sarah Storey took back-to-back wins in the Rudy Project Series with her second victory at the weekend in Hampshire. “Prior to the race it was hard to judge what would be a fast time as although the distance was similar to the first round, the course was definitely quicker, although by no means a dual carriageway style event,” Storey commented. The Horizon Fitness rider had hoped to “get under the hour, but I managed a ‘sub-59′ and finished with a 58:52, 2-25 ahead of Michelle King. ”It was a decent time in the overall, only six of the men doing the same course went faster and I was pleased with my recovery since the race at Dottignies. ”Next we turn the focus towards UK-based road racing and I’ll be part of a Horizon Fitness team at the first round of the Women’s Team Series held by Twickenham CC next Sunday [April 18]”. 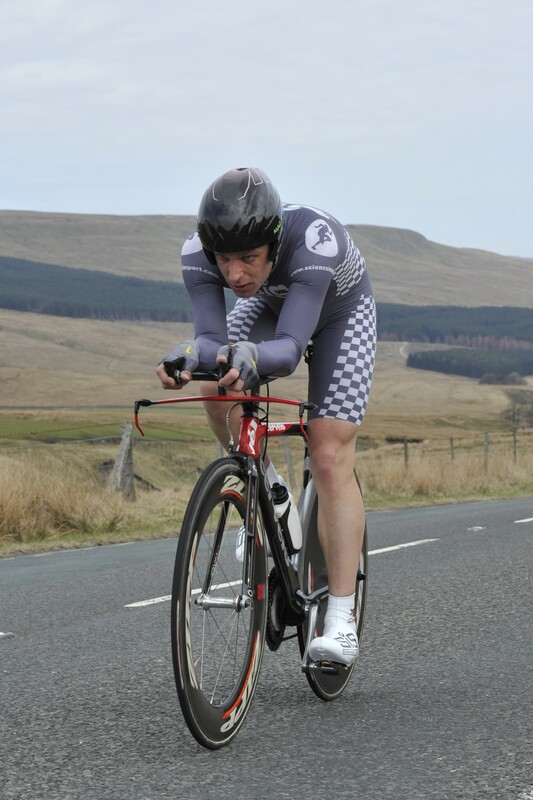 Mark Holton set a new record at the weekend in the historic Nelson Wheelers Circuit of the Dales 50-mile time trial. Holton took almost a minute off the previous record set by Gethin Butler. “Back from Hawes was really fast, I’m dead chuffed to get the record i’ve wanted it since I first rode the event,” Holton commented. “I did a recce around the course last week in the hail and wind, thankfully the weather was great today”.